At our last meeting, I commented that one potential Apple play is the ubiquity of wireless. They were the first to talk about wireless back in the day and steadily releasing communication apps that are wireless only – apple device to apple device. Think the new messenger product appearing in upcoming iOS5. Think FaceTime – available on EVERY Apple product. My contention was – and remains – that they are setting up a framework to bypass the carriers – and their extortionate prices. Even now, all of these products are usable – and UNLESS you need absolutely always on cell communication – there strong argument that a lot of us could really live without a cell phone – so long as we had ability to make calls from the variety of hotspots there are today. The truth is, high speed wireless is critical. We’re just a few years away, I believe, from pervasive, high quality wireless anywhere, and I hope we can scoff on the minor issues we see today with congestion, slowness and even pockets without access. Speedtest.net – The Global Broadband Speed Test is the place to go to test the sped of your internet connection. Posting this since a couple of people have asked how to do it recently. It is a great piece of work that you will enjoy. 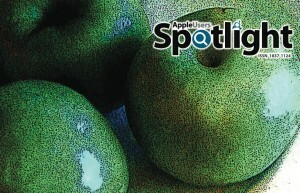 It is the Apple Users Spotlight – Issue Number 15 – covering June and July 2011. To help you understand what delights are contained within – this is the list of contents. Click on this link and the doc will download and be visible in your browser. It will take a little while, so once it is down there – use file / save as and store the doc locally – and then open it up in Preview or Adobe Acrobat. That means you will be able to navigate faster and search the doc quickly in the usual manner for items of specific interest. Full details of the benefits of why you want to become a Pro Member can be found here. 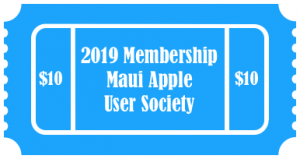 One of them is to get your business listed here and promoted into the Mac (and Maui) community. It costs just $10 per year which could be made up in a single purchase of a product that you buy with a pro members only vendor discount, qute apart from all of the other benefits. Read on to get the full story. Now fully enabled for Facebook through their Networked Blogs – come on over and follow.